David Harbour Wasn’t Asked to Dance in Stranger Things 2, But He Did AnywayThe actor improvised Chief Hopper’s very meme-able moment. Noah Schnapp Breaks Down His Hardest, Scariest Stranger Things 2 ScenesIn season two, Schnapp emerged as the show’s most valuable player. David Harbour Crashed Someone’s Yearbook Photos, Just Like He PromisedHe’s a man of his tweet. The 10 Weepiest TV Moments of 2017Because sometimes you just need a good cry. 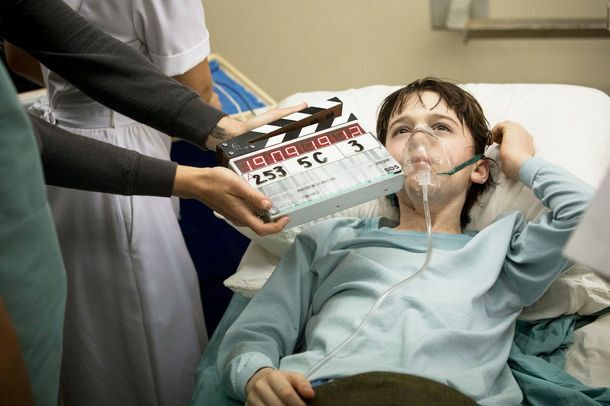 7 Questions Stranger Things 2 Leaves UnansweredThe third season of Stranger Things won’t be here anytime soon, but it’s never too early to speculate about what’s next for Hawkins. The Duffer Brothers Recap Stranger Things 2, ‘Chapter 9: The Gate’The Snow Ball kissing scene, the Upside Down cliffhanger, and what to expect in Stranger Things 3. How Stranger Things 2 Turned Hawkins Into the Upside DownThe stories behind the season’s biggest visual effects. The Best Retro Hairstyles of Stranger Things 2Can you spot the wigs? Why So Much Went Wrong in the Worst Episode of Stranger Things 2Eleven’s adventure with Kali in “The Lost Sister” feels distinctly out of step with the rest of the show. Every Major Pop-Culture Reference in Stranger Things 2, From A to ZFrom Alien to Ghostbusters to The Warriors. How to Get Steve’s Hair in Stranger Things Without the Farrah Fawcett HairsprayThe Duffer Brothers couldn’t use the actual hairspray or the ‘80s commercial, so here’s what they did instead. Sean Astin Almost Had a Very Different Story Line in Stranger Things 2The Duffer Brothers loved Bob so much, they wrote him a bigger role. Erica From Stranger Things 2 Is the Queen of Withering One-linersAnd the Duffer Brothers say she’ll have a “majorly expanded role” in season three. Watch Millie Bobby Brown Rap Her Recap of Stranger Things Season OneHappy Halloween indeed. Our 9 Biggest Questions After Watching Stranger Things 2Is Will Byers finally safe? How will the Mind Flayer escape the Upside Down? And more Stranger Things questions. Paul Reiser in Stranger Things Is Stunt Casting at Its BestDr. Owens isn’t just an homage to Aliens. Stranger Things’ Charlie Heaton Apologizes After Drug Incident at LAXThe British actor was denied entrance to the U.S. after drug-sniffing dogs identified an illegal substance in his luggage. 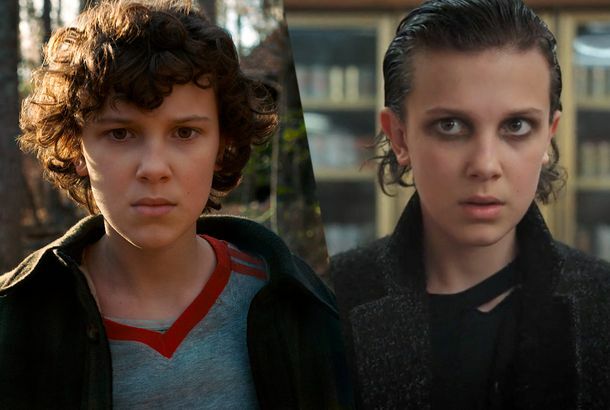 The Duffer Brothers Recap Stranger Things 2, ‘Chapter One: MadMax’Matt and Ross Duffer explain how they made ‘Madmax,’ the first episode of Stranger Things season two. In Praise of Steve and Dustin’s Unlikely Stranger Things FriendshipWhether they’re talking crushes or hunting Demogorgons, this odd couple is a total delight. A Salute to Bob Newby, the Best Character on Stranger Things 2Bob the Brain makes everything easy peasy. All the Ways Stranger Things 2 Is Like James Cameron’s AliensThe parallels are even more direct than we could have predicted. Stranger Things Season-Finale Recap: The Shadow MonsterEleven is back to finish what she started. Stranger Things Recap: The Mind FlayerBob the Brain is the unlikely hero that Stranger Things needed. Paul Reiser on Stranger Things 2, Aliens, and Saying Good-bye to Red OaksAnd why there’s “a very good reason” to be suspicious about Dr. Owen. Stranger Things Recap: The Other GirlWhy was this episode even made? Stranger Things Recap: Dusty and the HairRaise your hand if you’d watch a buddy-cop movie starring Dustin and Steve. Did Stranger Things Finally Get Justice for Barb?Barb plays a surprisingly important role in Stranger Things 2. Noah Schnapp Is the MVP of Stranger Things 2Will Byers disappeared in season one, but he’s utterly essential now. Stranger Things Recap: Bob the BrainJoyce’s new boyfriend finally gets his chance to shine. Stranger Things Recap: Inner DemonsWhat happened to Will in the Upside Down? Stranger Things Recap: The Hunt for DartMillie Bobby Brown steals the show yet again. Stranger Things Recap: Who Ya Gonna Call?The Upside Down isn’t the only danger lurking on Halloween night. Stranger Things Season Premiere Recap: The Return of Will ByersSomething wicked is hiding in Hawkins, Indiana. Netflix Gives Stranger Things Its Very Own After-Show, Beyond Stranger ThingsHosted by Academy Award–winner and Community favorite Jim Rash. Stranger Things 2 Was Worth the WaitThe second season of the Netflix sci-fi hit is just as good as the first. What to Know About the New Stranger Things CharactersLike any good sequel, Stranger Things gets a lot bigger in season two. Our 9 Biggest Questions Ahead of Stranger Things Season TwoWhere has Eleven been? Was she trapped in the Upside Down?